In order to remain stationary in the sky, synchronized with the rotation of the earth, geostationary satellites must maintain an orbit 22,300 miles above the equator. Lower orbits move faster than the rotation of the earth, and higher orbits slower. Because of this vast distance, large, directional,dish reflector antennas are required to communicate with geostationary satellites. In the marine world, these antennas must be stabilized to point precisely at the correct satellite, as the ship moves and turns below. On the other hand, Low Earth Orbit (LEO) satellites, like the Iridium fleet, are only a few hundred miles above the surface of the earth, allowing small, handheld terminals with omnidirectional antennas to be used. 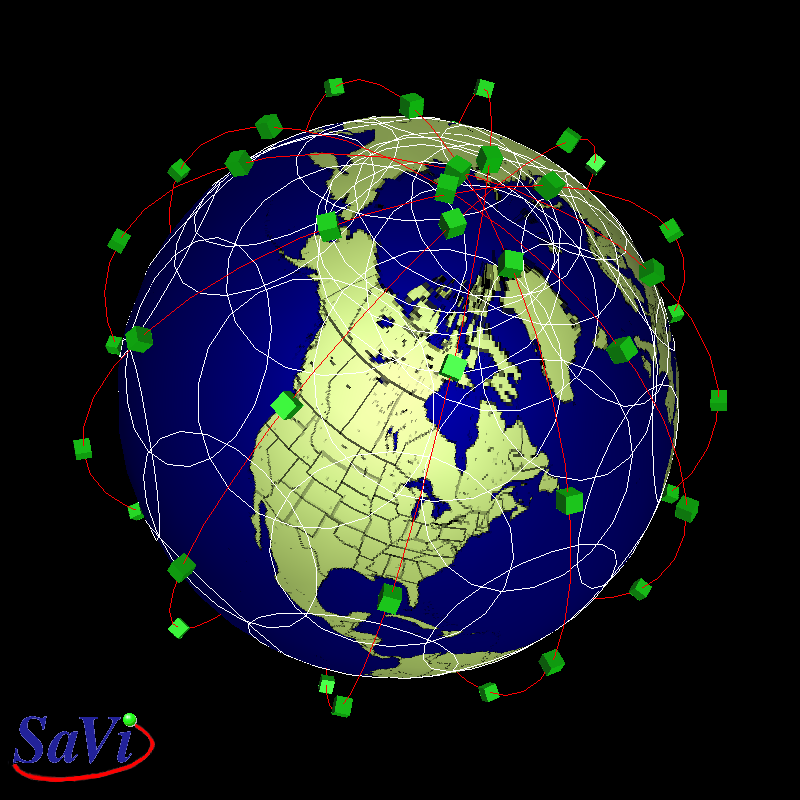 To maintain this low orbit, the satellites are constantly moving, rapidly around the earth. Iridium uses a fleet of 66 satellites with 11 satellites in six orbits, 485 miles above the earth, rotating from pole to pole and thus covering the entire globe. From any position on the globe, the satellites are constantly rising, zipping across the sky at 1700 mph, and setting again. A complete orbit around the world takes about 100 minutes. So, while talking on the phone, your call may be handed off from one satellite to another, as they rise and set, similar to a cellular phone, as you drive from town to town, down the highway. Traffic is passed from satellite to satellite before being downlinked at one of 4 base stations on the earth. When a satellite does not have direct communication with a ground station, it will relay the communication, using Ka-Band, with the satellites ahead and behind in the same orbit, and with satellites in the adjacent orbits until it can be downlinked to the earth . Communication between handsets and satellites is at L-Band, using TDMA and FDMA technology. 24246 visits to this page since 28 Nov 2012.